Great breakfast, great location, we got an upgrade to a 3 bedroom apartment on the top floor. When we asked for more kitchen ustensiles, we received plenty. We had booked to stay for three days,when we arrived we were surprised that we got the top floor with 3bedrooms. It was all very comfortable and spaces. The breakfasts were great with many choices. The staff were all very helpfull. We could park our car safe at there secure car park. Nice breakfast, friendly staff, clean and comfortable facilities that all worked well. Highly recommended. Todo perfecto, quizá el desayuno pueda pueda tener mas variedad. Me gustó la amplitud de las habitaciones, y la ubicación es excelente, muuuy buen servicio, mas que recomendable para familias con niños pequeños. Fue mejor de lo que esperaba , excelente ubicación. La ubicación es buena, muy cerca a las actividades que realicé y también la gentileza del personal de recepción, especialmente en la noche que llegaba un poco tarde al hotel. Quarto bem grande com dois banheiros e dois quartos. Bom café da manhã e ótima localização. Hotel não é novo, porém é bem cuidado. Lock in a great price for Apart Hotel Violettas – rated 8.6 by recent guests! Apart Hotel Violettas This rating is a reflection of how the property compares to the industry standard when it comes to price, facilities and services available. It's based on a self-evaluation by the property. Use this rating to help choose your stay! Just 1 block from Paseo del Prado and nearby shops and restaurants, Violettas offers accommodations with free Wi-Fi and a handy currency exchange service. Airport shuttles can be arranged. 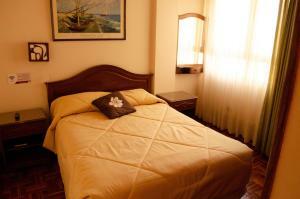 Apart Hotel Violettas has rooms and apartments with nice décor and private bathrooms. They include a mini-bar and cable TV. Some rooms also feature balconies, air conditioning and bathtubs. They also include a full kitchen and dining area. Laundry services are available. Guests can start their day with a full buffet breakfast which they can enjoy in their rooms. Breakfast includes a variety of seasonal fruits, cereals, cheeses and yogurts. Savory and sweet treats are also served. 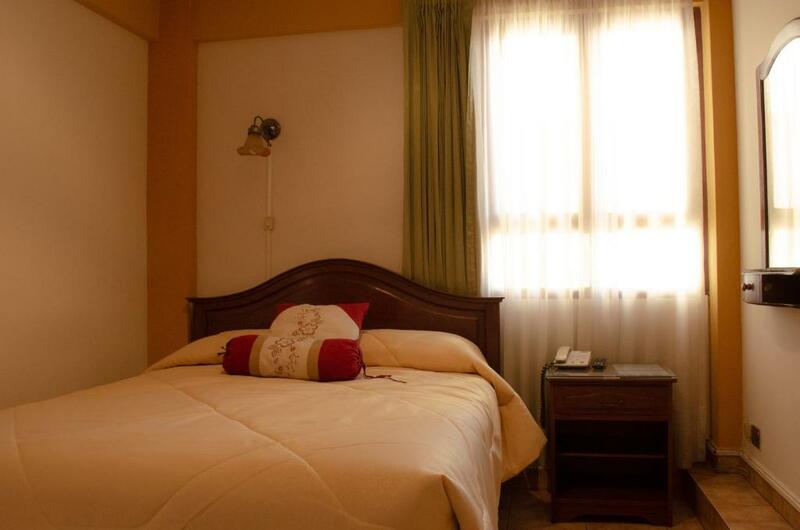 The hotel is 5 blocks from historic Santa Teresa Convent and 1 block from Plaza Colon. The tour desk is ready to assists guests exploring the area. Free private parking is possible on site. This is our guests' favorite part of Cochabamba, according to independent reviews. 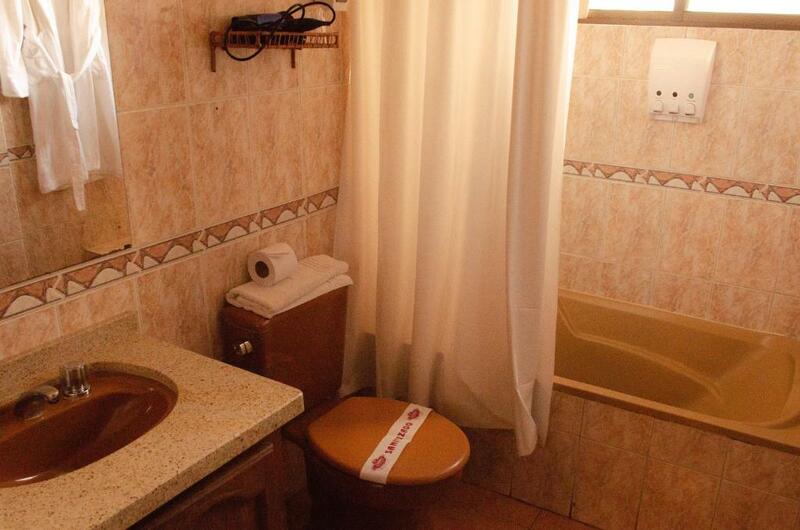 This property is also rated for the best value in Cochabamba! Guests are getting more for their money when compared to other properties in this city. 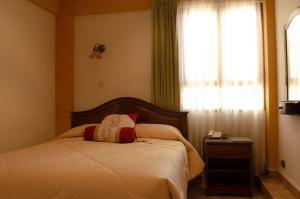 뀐 Located in the top-rated area in Cochabamba, this property has an excellent location score of 8.9! When would you like to stay at Apart Hotel Violettas? Features a double bed, cable TV, mini-bar, 24-hour Wi-Fi and a private bathroom. A bright 1-bedroom apartment with kitchen facilities, Wi-Fi access and cable TV. It is equipped with 2 bathrooms. 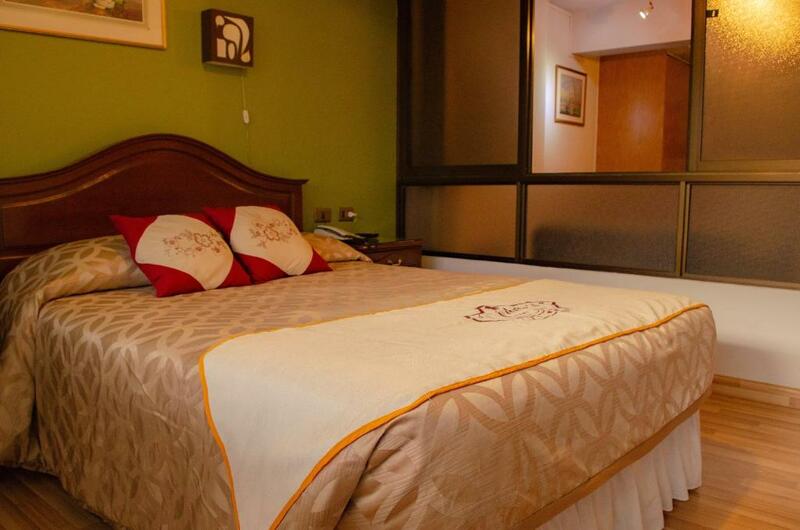 A spacious and bright room featuring a double bed and a single bed, cable TV, mini-bar and a private bathroom. 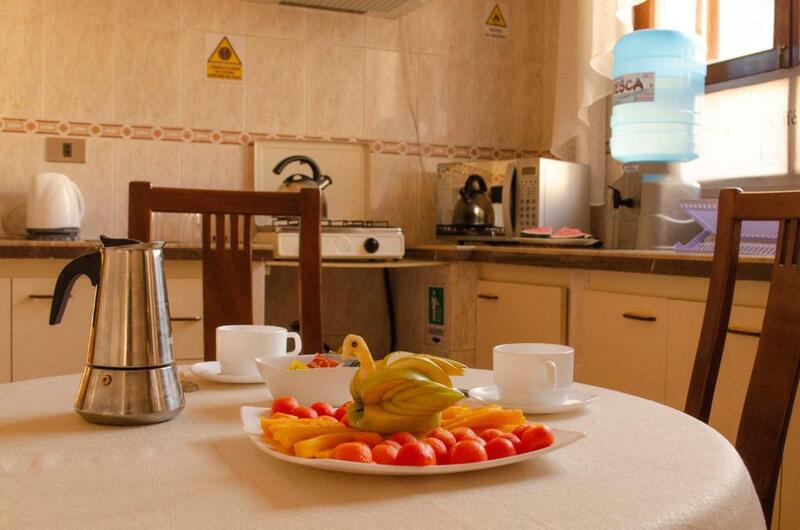 A 2-bedroom apartment with a fully equipped kitchen, 2 bathrooms, cable TV, and free Wi-Fi access. This room features a private bathroom, mini-bar, and cable TV. Three bedrooms with 1 double bed, 3 single beds, a living room, a fully equipped kitchen, 2 bathrooms, cable TV, and free Wi-Fi access. This apartment features a microwave, seating area and mini-bar. The hotel is characterized by giving personalized attention to our guests, we are currently working with different packages designed to meet your needs. House Rules Apart Hotel Violettas takes special requests – add in the next step! Apart Hotel Violettas accepts these cards and reserves the right to temporarily hold an amount prior to arrival.